One of the early highlights of 2018 in Japanese music has been Oyubi’s My Fingers album, released by Omoide Label near the start of March. The producer now offers what I’m sounds like a palette cleanser of sorts after the at-times abrasive My Fingers, offering another side to the artist. 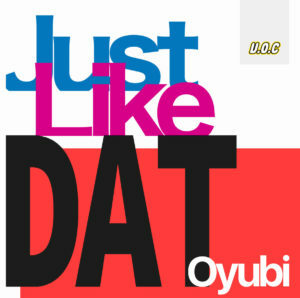 Oyubi still sticks to juke sounds, kicking the whole thing off with the swift title track which feels like a reminder of their foundation. Things get slightly more sandpaper-like with “Smokin,” but after an early rush it is mostly an exercise in vocal samples (same goes for the sample ping-pong of “Join! Die!,” almost like a movie trailer for a really knocking film). It’s not quite up to the energy and intrigue of My Fingers, but shows a different side to Oyubi. Get it here, or listen below.